We offer 24 hours service on line . Payment held until buyer confirms satisfaction. Refund or keep items if not as described. To make your business safe. To make your money safe. To save money for our customers. 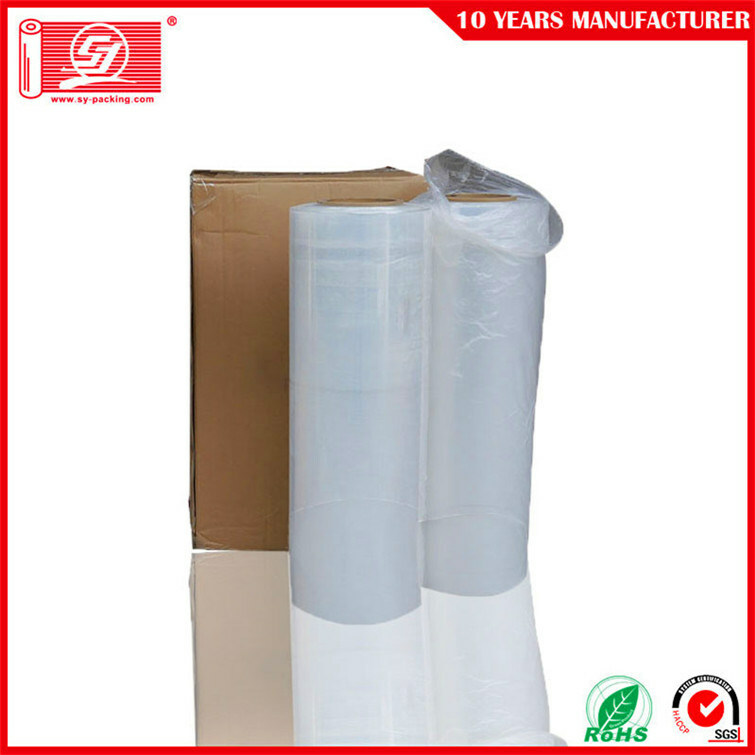 Our stretch film material LLDPE is imported from Exxon Mobil and Dolex. 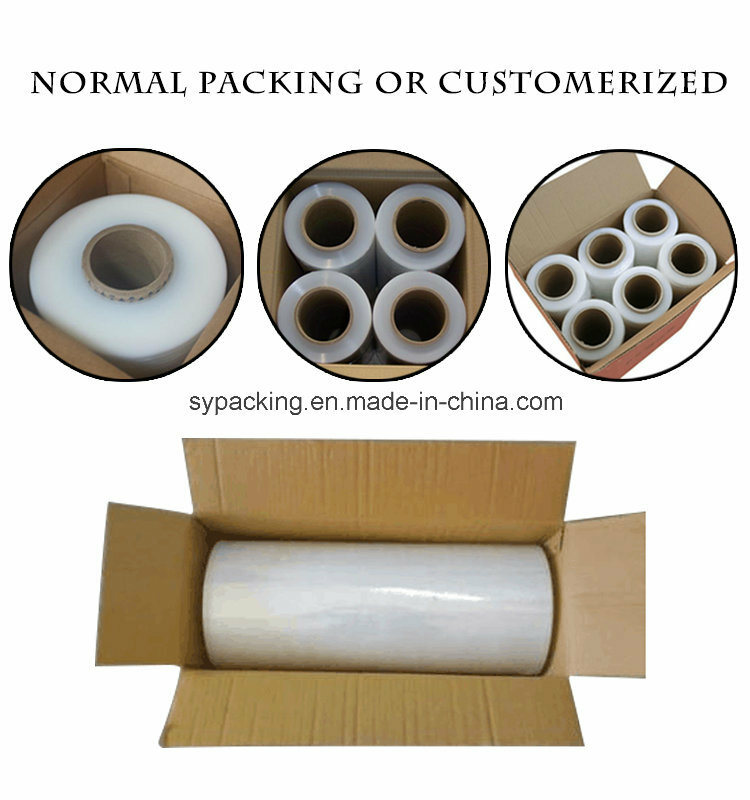 Our bopp packaging tape material is bopp film with acrylic adhesive which are imported from Taiwan. We can do super thin stretch film. pre-stretch film. special film. super clear tape, crystal tape, no bubble tape, low noise tape, easy tear tape. No noise tape. We can offer print of paper core and carton mark. We have designer for customer designing packaging ways or new artwork. We have good quality and good service. 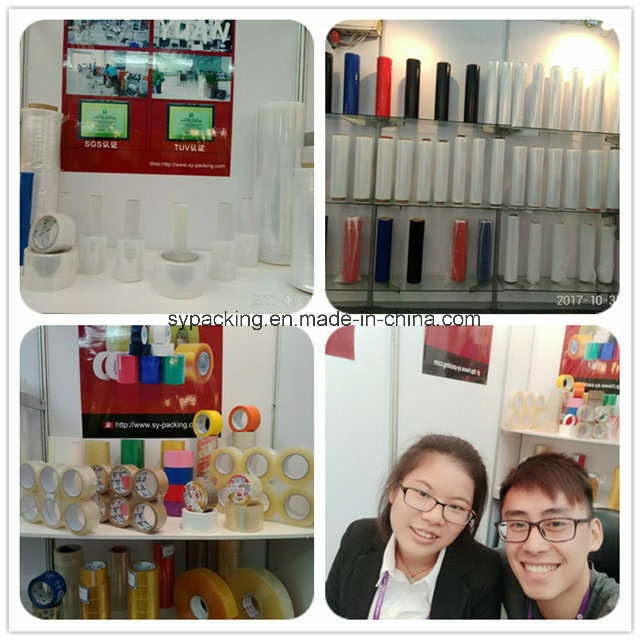 Canton Fair, Frankfurt Fair, we will invite you if we have exhibition BOOTH NUMBER. 1, Our designer will make carton and label design for you as your requirement, then send to you for confirmation. 2, We will add all item picture in the PI for avoiding any mistake of your order. 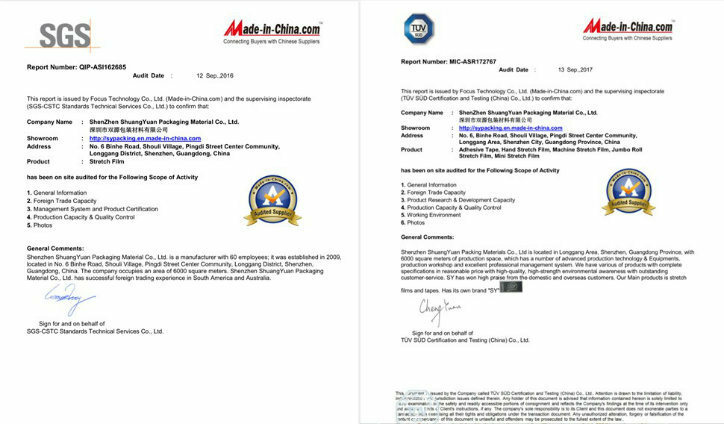 4,We can offer printing paper core and shipping mark for you as your requirements. 5, We will booking the vessel for you when it is going to be finished. 6, We will inform you that detail ship date once we get the information. 7, We will update the vessel information(ETA&ETD) for you. 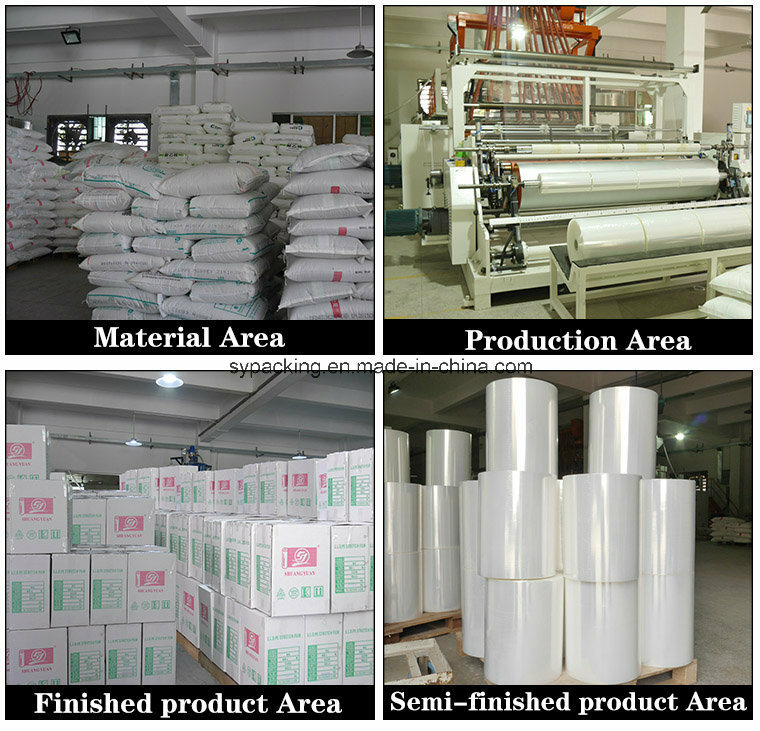 Our company production including bopp packaging tape, bopp stationery tape, LLDPE stretch film. Hand use stretch film. 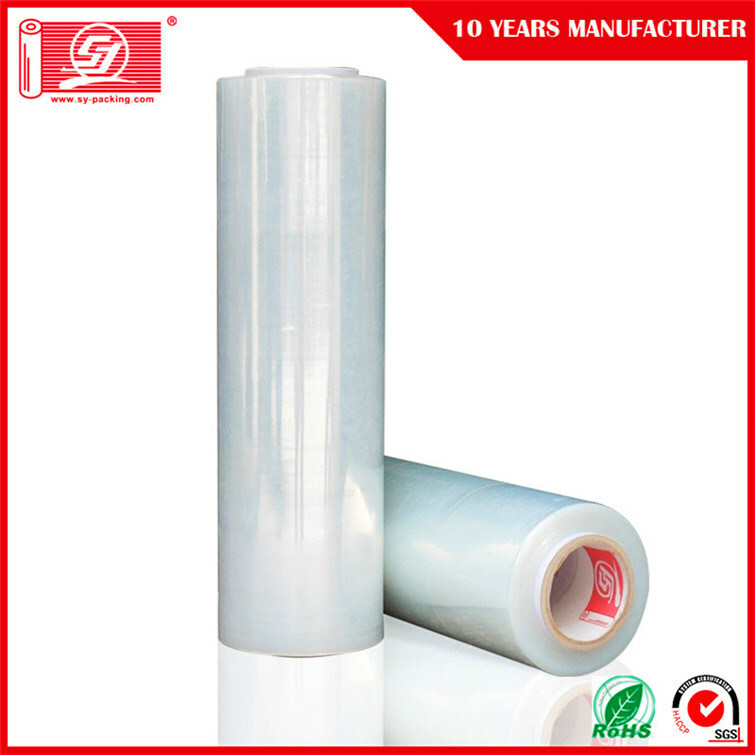 Machine use stretch film. Colorful stretch film. Special stretch film. Pre-stretch film tape, super thin stretch film. Masking tape, double sided tape. 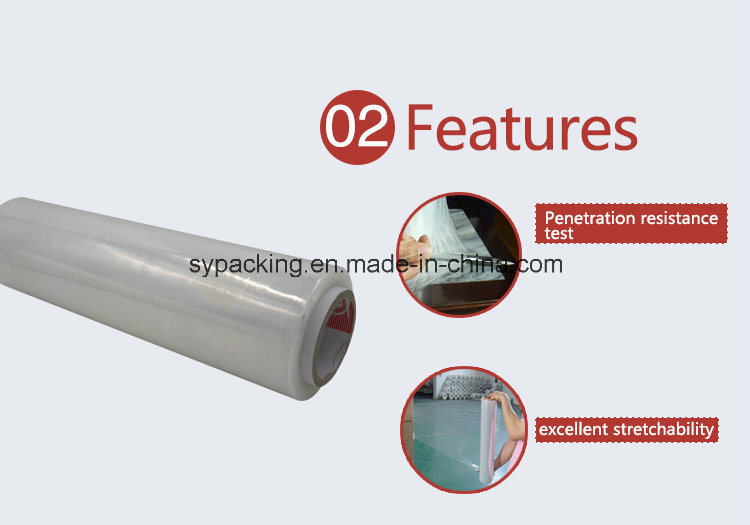 Double sidefoam tape, warning tape, PVC insulation tape, Aluminium foil tape. Kraft tape, reinforced Gummedkraft paper tape. Gummed kraft paper tape. Invisible tape,PVClane marking tape. Enquiry: contact us by email, phone call, fax, Instant tools (Trademanager, Skype) and let us know your enquiry. Production Lead Time: 25-30DAYS AFTER DEPOSIT PAYMENT. If you want to deal with EXW/CIF/CNF term instead of FOB, please specify. Otherwise, FOB price will be quoted under inquiry. 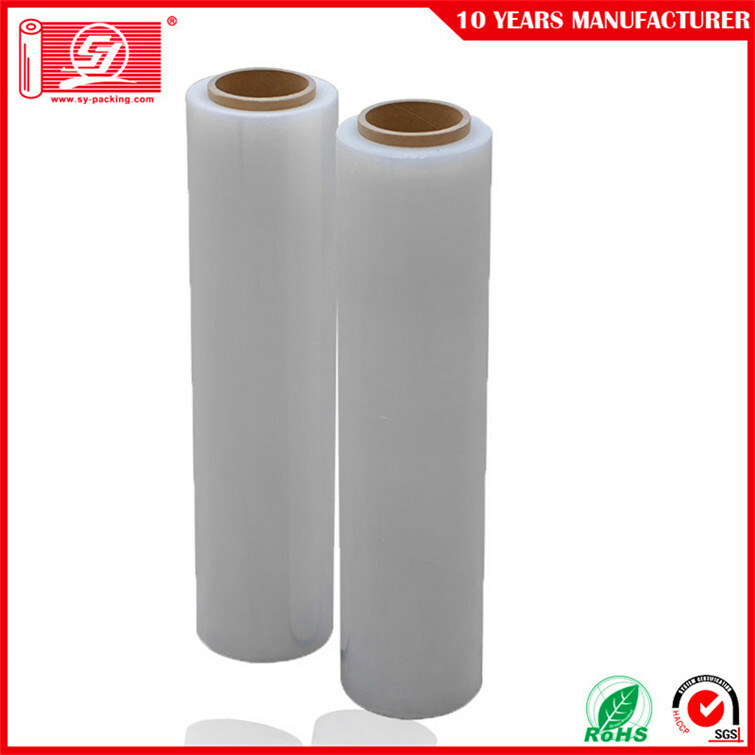 Our factory have 10 years history for produce bopp film and stretch film. 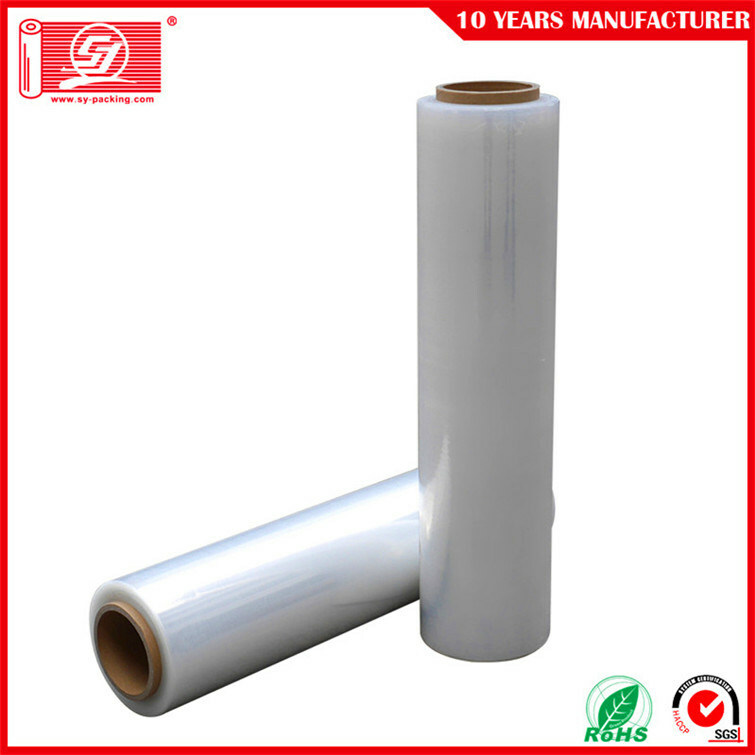 The tape material is bop film with acrylic adehsive and import from TAIWAN. 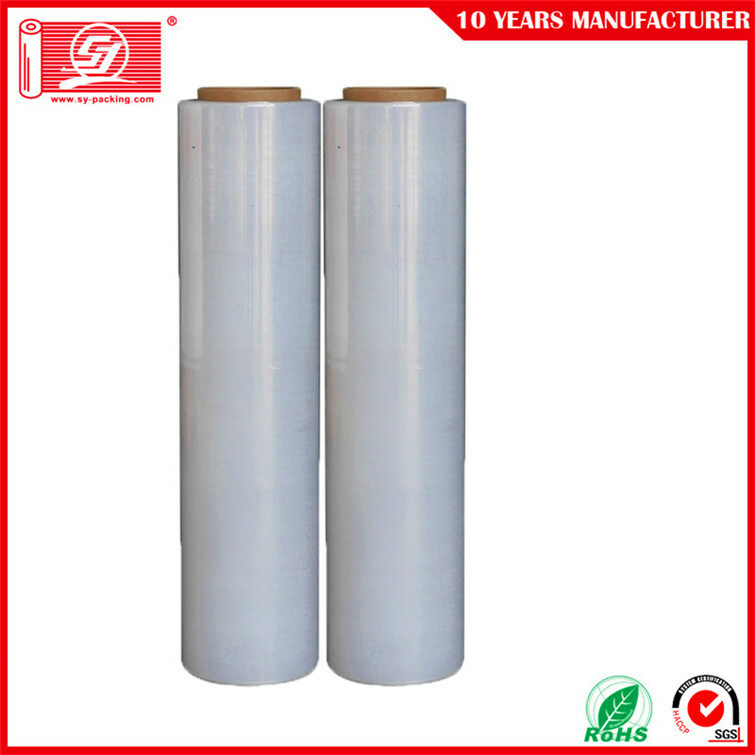 The film material is LLDPE and import from XOM. We can offer printing the paper core and shipping mark as your requirements. 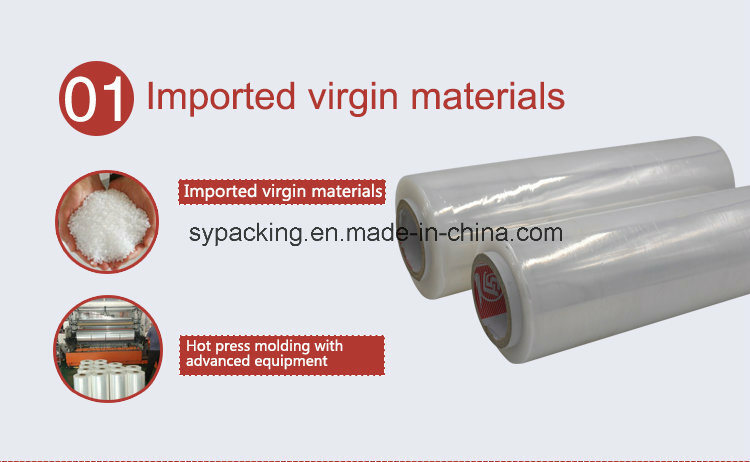 Have many packaging way for you. 1roll with a dispenser blister, 8roll shrinking a tower, 6 rolls shrinking a flat. If you are interested in our productions, please don't hesitate contact with us. We hope that our productions can bring convenience and smile to you.